My name is Ruth Ryan and I'm a scrum master in the development department at Companies House. I work in a cross discipline team to deliver online services for companies to file information with Companies House. Over the last year I've been working on the ‘File Company Accounts’ service, and we've recently made available a private beta version of this for users to file their company accounts. When the project started I was working as a developer on the team so I can give an insight into this project from those two different perspectives. Last autumn we begun work on the alpha stage of this project. 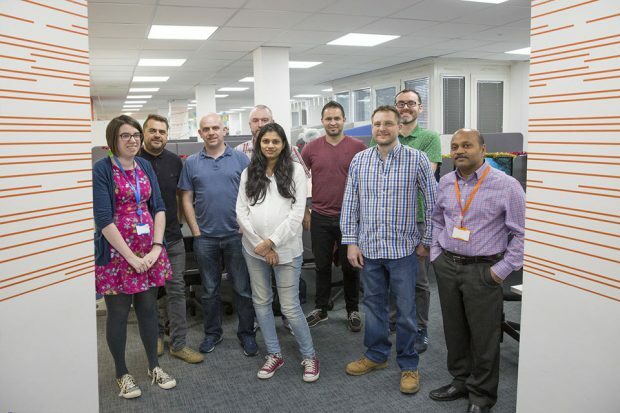 This was both a challenging and exciting phase for us as a delivery team - as it was not only a new service which we were enabling for our users but also the basis of the new filing platform. This meant we had a lot of questions to answer and a new technical stack to learn. We worked very closely with our user researchers and interaction designers early on, attending usability sessions and combining our technical knowledge with the service design, to develop a better journey for our users. In February this hard work was rewarded when abridged accounts met the service standard for alpha assessment. From January until July we were working on implementing a stripped-down version of the service, which would meet the majority of user needs and the common-case journey. 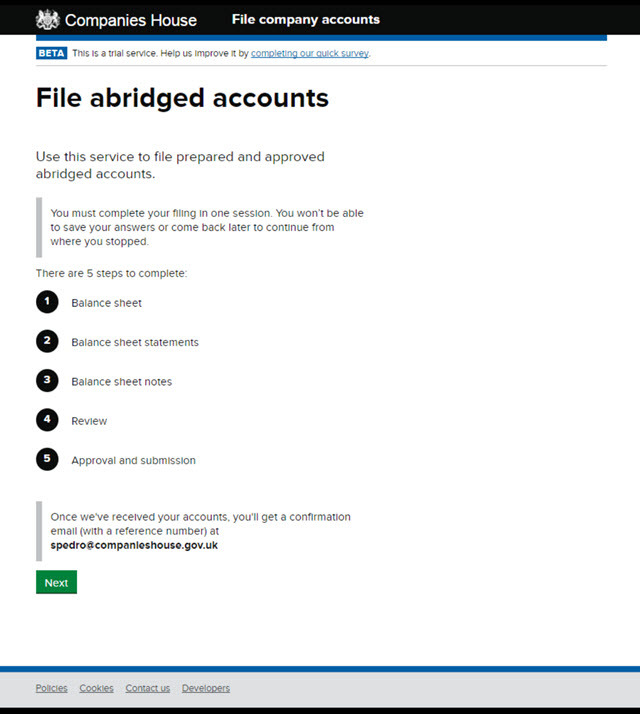 Throughout this time the team built an application which allows web users to file Abridged Accounts, but also ensured it would fit into an entirely new filing system made up of smaller components. Having smaller component parts allows us to make changes much quicker and respond rapidly to the needs of our users. This forms the basis of our new filing platform which will support future filings and will be used by companies to keep their data up to date for years to come. Building the private beta in this short period of time required everyone to work together and the team showed high levels of dedication to the project - working long hours and weekends to achieve our challenging goal. For me, the most satisfying part of this stage was seeing the things we'd prototyped and tested with users in the alpha stage, become a fully functioning service that customers could use. We started usability testing the production application with real users and it was great to see people finding the service easy to use. In July I moved into the role of scrum master. This meant I was more involved in the higher-level coordination of the project and less of the detail of the implementation. Over the next few months the application continued to be tested in a pre-production environment and any issues with the application were quickly prioritised and dealt with by the team. During this time there were a lot of changes in the team, with people moving into new roles and new members joining. Whilst we were supporting the testing of the new implementation, we were also training up the new team members and developing more features, to enable a greater percentage of users to file using the application. The first release of abridged accounts went live as a private beta on 15 November and we started to receive filings very quickly. Initial feedback from our customers has been mainly positive, which is great as it means the team’s hard work has made a difference to our users. We’ve received more than 2,000 filings which has far exceeded our expectations. We've quickly iterated the service, releasing enhanced features and responding to feedback over the last few weeks. We're continuing to work on delivering additional features to allow even more companies to use the service and further improve the user experience. We're looking forward to the beta assessment in February to be able to move into public beta. What is the difference between abridged, abbreviated, micro-entity and unaudited micro-entity accounts?